The thing about Radical Acceptance is that when done properly it will motivate you to action. It is quite the opposite of what you may think it to be at first. I know I envisioned me laying down and "taking" it like a door mat. Completely helpless to the ensuing pain from the "acceptance". In reality acceptance is more like taking in the facts, looking for the grain of truth in it and analyzing what can or cannot be done about it. Then the key to it, doing something about it. So what is it that you are not accepting? It became obvious to me that radical acceptance was going to be a challenge when I found myself making the same requests over and over to AJ in a particular aspect of our life. We had reached what some couples would view as a stale-mate. This particular topic was directly linked to triggers to my target behavior, so I felt completely justified in my request, where-as AJ felt differently. Regardless of the details in this situation, the bottom line was I was not going to get what I was asking for. My mind kept getting stuck on the, "He must give it to me! ", "this isn't fair", "how could he claim to want to help on not give me this", etc. etc. What not accepting this was doing was blinding me to the choices and options I had. I had no options in the situation I was making for myself. Whereas turning my mind over to willingness of the situation (not approval of AJ not giving me what I was asking for, but rather acceptances that he wasn't going to give it to me) I was then able to look at the experience just as I had mentioned at the outset, I took in the facts and removed the judgments. Instead of looking at it as something that he wouldn't give me, I started to see a picture emerging of that he couldn't give me this request. Wow! Wait a minute, if he couldn't give this to me, then there went all these judgments of "if he loved me..." crap. Now I had something to work with, now I had something to problem solve. Honestly however, without having changed from willfulness to willingness I would have missed crucial pieces altogether. The end result to all of that was, when I was able to see the situation from the perspective of accepting not approving, AJ and I were able to problem solve our situation and come to a reasonable solution. Notice also, before when I was thinking on the matter, it always felt as though it was me asking something from him, but allowing radical acceptance to do it's job the problem became "ours" in my mind. A family had a small child of about 5 years old. They lived in a quiet neighborhood at the end of a long street that was situated at the top of a hill. At the bottom of the hill the road came to a two-way stop with the free flowing traffic going opposite the little hillside road. The speed limit on that free flowing road was 25 mph because there was a school nearby. One day the child was riding her bicycle around her driveway and she ventured too far down the road and caught the crescent of the hill. She started gaining speed and due to her limited riding experience she was unable to stop, nearing the on-coming road that did not have to stop the little girl went flying into the intersection and was struck and killed by an on-coming car. When all of the details of this situation were sorted through it became clear that the driver of the car was not speeding, the parents had been watching their daughter properly and the child did all she could to stop the bicycle. This was simply a horrific tragedy. Now if you are like most people this experience would outrage you. As humans we instinctively want to place blame. But in this case who is there to blame? Obviously, if we were the parents chances are we would spend a lot of time blaming the driver or ourselves. Neither of those will bring the child back. A lot of emotion and energy will be expended with no results in relieving the pain. However, in radical acceptance the parents would say, "OK, this has happened, what can we do about it?" No where would they ever say, "OK, well I am OK with this happening, and in fact I approve of this happening because I don't want to be haunted by this for the rest of my life" Ridiculous, right? But what can they do? In this illustration the mother and father lobby for a four-way stop to be installed at that intersection and they raise bicycle safety awareness by holding rallies on a monthly basis. What mom and dad did here is take all that energy that would go into the blame game and fighting the reality of their lost child and turned their experience into something that they could change. They grieved, radical acceptance in this case would not steal that away from the parents, but they stayed focused on what could be done instead of burning up every ounce of existence they had in fighting for something they couldn't change. Accomplishment came instead of ineffectiveness because these parents did not willfully sit and fight against the ghost of non-acceptance. If that one is a bit too much to swallow, another illustration that was used is, let's say you bought a house. When you did your final walk through before signing the papers the house was a neutral color. 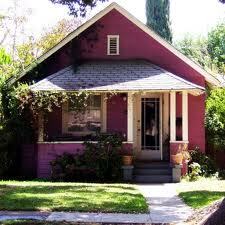 But when you got the keys and went to go to your "new" house, the entire thing had been painted pink. You could kick and scream at the realtors until the cows come home about how when you signed for that house it was neutral. But would that change the color of your house? No. The only thing that would change the color of your house is to accept that the previous owners pulled a fast one and that now you needed to paint it. Anyways, there are some tangible concepts for everyone to chew on.Turning your mind over to willingness is done by sitting in a formal mindfulness situation and envisioning what it is in your life that you are not accepting. Repeating it to yourself as, "I am not accepting..." Some things to consider is the way in which you are sitting. Some have found it very useful to put your arms down on some arm rests, turning your palms upward. This is considered to be "willing hands". Working through your thought process about whatever it is that you are not accepting while practicing your mindfulness exercise will not be like "hypnotizing" yourself, DBT is not about that at all. In reality all you will be doing is working your way through this emotion change in a calm, mindful manner. Understand, coming to realize what it is that you need to accept and spending mindfulness time processing it takes effort and diligence. Be kind to yourself and take it one step at a time. Step one: identify where you need to radically accept; Step two: schedule mindfulness times daily to work through the thought process of accepting. Work on step two this week. If you feel you can move onward, then step three is to begin problem solving. What can you do about your situation? Likely, you know what you cannot do, but what can you? I look forward to hearing from others and their experiences with Radical Acceptance and what helps them to get through the harder aspects of it. Please come to the forum and share, or leave comments here.